It’s not easy to combine the nostalgia of classic sounds with the freshness of a modern beat, yet sometimes it proves possible to have the best of both musical worlds. Such will be the case this Friday, July 29, when The Del Rios performs during the fifth 2016 installment of LakewoodAlive’s Front Porch Concert Series. 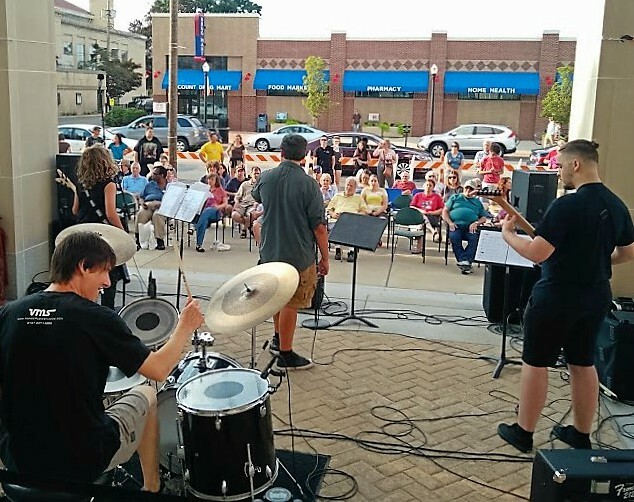 The Front Porch Concert Series features free, live music on the front porch of Lakewood Public Library in Downtown Lakewood for 12 consecutive Fridays. Week 5 features The Del Rios. Founded in Cleveland in 2013, this surf and garage rock band is comprised of Dean Cohen (guitar), Skylar Keffer (bass and vocals), Austin Latare (drums) and Will Robinson (vocals and guitar). A descendant of an instrumental cover band, The Del Rios now pursues original music with a retro feel but an updated sound. The band strives to provide a modern take on 1960s rock-n-roll, seamlessly blending different musical eras into a unique sound.